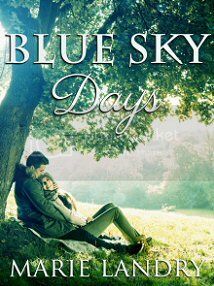 Three years ago today, I published my first novel, Blue Sky Days. Saying that feels surreal. The last three years have been a roller coaster. Being a published author has been my lifelong dream, and I still can't believe that dream came true. This book, and getting it published, was a labour of love. I wrote the original draft when I was in my early twenties. I'd written other books, but this one was my favourite - it was the one I was proudest of. I sent it to a local publisher, who rejected it (thank god), and then I set it aside for about seven years. 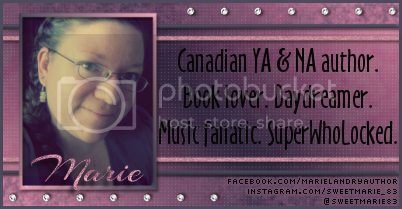 I wrote other stories in the meantime, and eventually started writing with a partner. We wrote a cozy mystery novel together, and started querying agents, but no one was interested. We talked about self-publishing, but it had a horrible reputation at the time, so we dismissed that idea pretty quickly. Shortly after we parted ways as writing partners, I started writing on my own again. I dug out Blue Sky Days, reread it, and fell back in love with it. I did some research on self-publishing, and discovered it was becoming what appeared to be a viable option. I knew I could go through the process of querying again, but I wanted my story out in the world. I wanted people to read it, I wanted to touch people. I spent months researching self-publishing, reading countless articles and blogs, and finally decided it was the route I wanted to take. I spent several more months revising and polishing Blue Sky Days, having people read it and give feedback, then I sent it to an editor. I planned to publish it in September of 2011, but between my editor missing my deadline, and my beloved Grama's death, I decided to push the publication date back and be a 2012 debut author. The rest, as they say, is history. In the last three years, I've written and published more books, I've made amazing friends who range from fellow authors to bloggers to readers, and I've learned so much. It hasn't always been easy, but I haven't regretted my decision for a minute. Thank you to all the people who have supported me over the last three years, either by buying my books, reading them, reviewing them, reading my blog, chatting with me on Twitter and Facebook, or cheering me on while I'm writing. Your support and encouragement keeps me going and means so much to me.